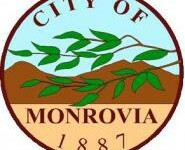 The Monrovia Rotary Club is excited to have Margaret Kerry as our featured speaker at our regular club meeting on Tuesday June 19, 2018. Margaret Kerry has been in the entertainment business for decades beginning with her appearances in The Little Rascals followed by 37 major motion pictures. Well known as an outstanding tap dancer she was co-host of an early musical TV show and was also cast in a pioneer ABC network family sitcom, The Charlie Ruggles Show which aired for five years. After playing the daughter of Eddie Cantor in the RKO musical, If You KnewSusie, Disney Studios cast Kerry as the reference model for Tinker Bell. 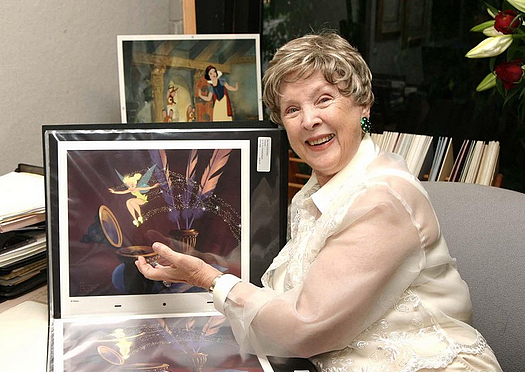 As she was filmed acting out the scenes of this famous sprite for Disney’sPeter Pan, Kerry gave the little fairy her bright, quirky personality. She still travels the U.S. in behalf of Tinker Bell. Margaret was in early episodes of The Lone Ranger and The Andy Griffith Show but it was while working at Disney Studio, voicing the Red Haired Mermaid in the Lagoon Sequence in Peter Pan, that her love affair with animation began and a long career as a voice over actor in 600 plus cartoons. That includes the long running Clutch Cargo and 179 episodes with The THREE STOOGES. She later produced animation. Kerry is quite active in behalf of the American art form of animation. For four years she served on the board of the Animation Society International for the Art (ASIFA-Hollywood Chapter). Through ASIFA, recognition-award shows, programs, Kerry works with animators, voiceover artists, educators and fans alike to raise the profile of the art. KKLA 99.5 FM, the Flagship of Salem Communications was Margaret Kerry’s home for 12 years where she produced and hosted the interview show, Ministry Loves Company. Along with writing scores of World Vision spots, voicing radio spots, she also handled the station’s outreach programPoints for Profit by producing and hosting the meetings for dozens of community-volunteer clubs and their members. She is a Toastmaster and a certified American Seminar Leader and speaks at schools, libraries throughout the country. She has a well-received book out titled, Tinker Bell Talks! Tales of a Pixie Dusted Life. It has many (mostly humorous) short stories. The book begins with a delightful chapter describing how Margaret, in 1933, a dear little four year old, started her career in show business in the Warner Bothers film Mid Summer Night’s Dream … she played a tiny fairy.